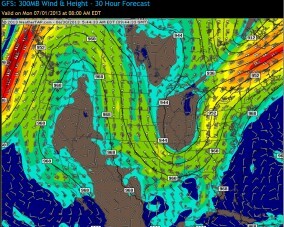 When the pattern of the jet stream winds slows down, extremes increase. A nearly stationary jet stream pattern settled across North America this spring, and Vermont set new rainfall records for May and June. In the western United States, drought and extreme high temperatures persisted. Record temperatures in Alaska exceeded 90 degrees. Fires devastated forests in Colorado, New Mexico and Arizona, with tragic loss of life. In Death Valley, daytime highs in late June reached 128 degrees. People ask me: “Is this weather the new normal?” To understand what is going on with the Earth’s weather and climate we must look beyond the flooded valleys and cloudy skies of Vermont, take a global perspective and remember that everything is connected. Because it is warmer in the south and cooler in the north, our winds generally blow from the west and get stronger with altitude. 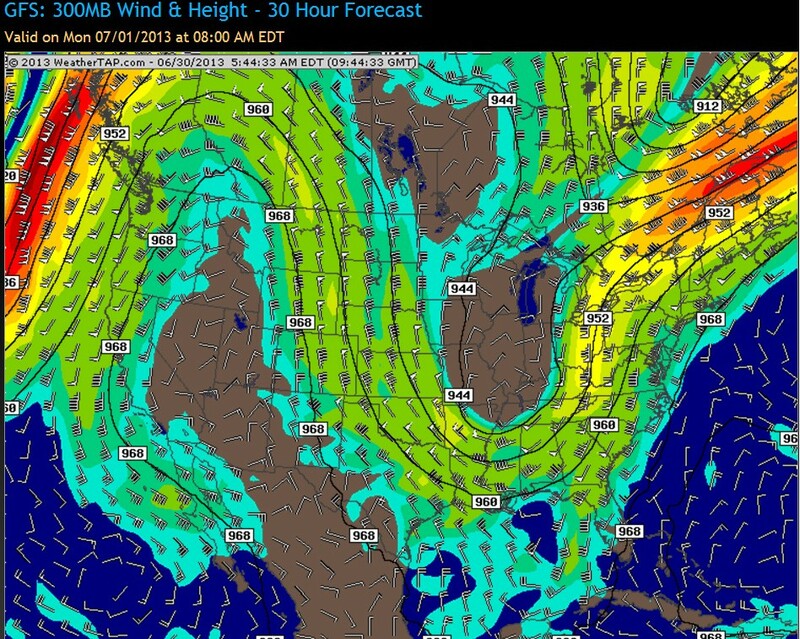 In past decades the jet stream winds typically blew strongly from west to east, and storms used to move quickly in the same direction – with a day of rain perhaps only once or twice a week. For several years now the jet stream patterns in the northern hemisphere have been changing. The north-south amplitude of the waves in the jet stream has been growing, and the motion of the waves from west to east has slowed down. Forecasters talk about more frequent “blocking patterns,” meaning that the high and low pressure patterns slow down or stop moving. Once the ground is soaked, evaporation from the wet ground and wet forests feeds more thunderstorms the next day – and the cycle of more evaporation, more storms and more rain goes on. Flash floods become common because the saturated soil cannot soak up any more water. This is a global shift affecting all of us that live in the Northern Hemisphere. Last month the British Meteorological Office held an emergency meeting of climate experts, because last summer, the wettest in a century, was followed by a prolonged winter and the coldest spring in 50 years. Will it keep raining in Vermont? To break the pattern, we will need several weeks without rain to dry out the soil. In the past decade, nine out of ten summers have been wet. Last year was the driest in Vermont — but rainfall amounts were still average. But the central United States experienced severe drought last summer. In future years we too may get some dry summers. Why is the weather changing? We think that the jet-stream patterns are shifting because the Arctic is warming and melting. But this change is new, and the links between Earth, atmosphere and oceans are complex. Years of observation and research will be needed to fathom what is happening. Scientists all over the world are working hard to understand this web of connections — much harder than most politicians. When we drive an unstable climate system by burning 100 million years of fossil carbon in a century, we should expect some nasty surprises. It is past time to put a rapidly rising price on fossil carbon pollution to try and stabilize the climate system. We all teach our children to share. It seems strange that we are so unwilling to share this beautiful planet that we inherited from our ancestors with our children and grandchildren.